The following is a partial summary of conclusions from our weekly fxempire.com analysts’ meeting about the weekly outlook for global equities, currencies, and commodity markets. This is a special report about the biggest lesson for the coming week and beyond, pregnant with exceptional opportunities and risks for those who are or are not prepared. Of all the lesson we learned from last week about the coming week, by far the most interesting of all was NOT from the FOMC minutes, other Fed events, nor from the normally top market moving US jobs reports that proved to be even more significant given its shockingly bad news. No, unless I’m really missing something, the clear winner of the biggest lesson for the coming week’s award was the stunning divergence between the sunny market perception of GIIPS credit risk and their darker reality. The fact that Ireland is a rather different case than Spain and Italy. Ireland has exited its bailout program. Italy and Spain have yet to resolve their zombie bank issues. Increased risk of bank failure and all that comes with it due to the failed SRM bank deal. As we wrote here, it not only provides zero additional support to GIIPS nations and their banks, it actually increased risk of a banking and sovereign debt crisis by officially enshrining private sector bail ins as standard policy, risking the flight of the very depositors and investors needed for these banks to survive despite their shaky finances large depositors as the first in line for losses. The immediate catalyst for the sudden GIIPS asset rally was last Tuesday’s Irish sovereign bond sale, its first sovereign bond sale since exiting its EU bailout. 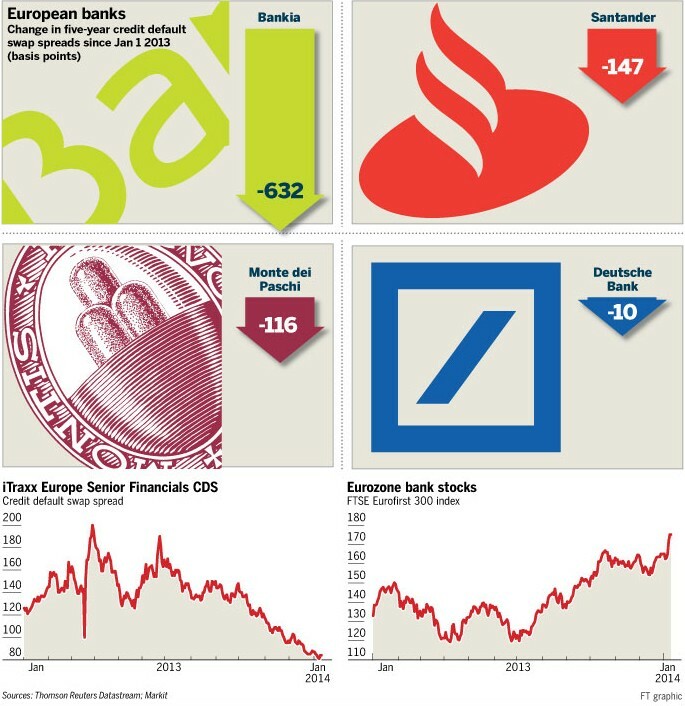 It was a huge success, with investors bidding over €14 billion for the new 10-year bond out of a planned €3 bln sale. Ireland limited the sale to just €3.75 billion in order to accommodate bond auctions in its funding program for the remainder of the year. Irish 10-year bond yields dropped 9 bps to 3.27%, their lowest in eight years, per Reuters historical data. In 2011 they peaked at over 15%. However these debt sales got their original impetus from the success of a similar deal by Allied Irish last November, which sounded the alert that GIIPS debt once again had a market. Note that Allied Irish is the bank whose failure began Ireland’s crisis. However time (as well as rising risk appetite and low yields elsewhere) heals all wounds. It raised €500m from the three-year senior unsecured bond last November. With the success of the past week’s Irish bond offering, and some preliminary signs of improving Spanish data, GIIPS bond and stock prices were leading performers last week, and many believe this will continue. The GIIPS nations and banks themselves certainly aren’t waiting for higher prices, though. Portugal issued €3.25bn of five-year notes Thursday, quickly taking advantage of a wave of positive sentiment towards the Eurozone periphery that lifted demand for the placement above €11bn The placement will provide for nearly half of Portugal’s €7.1bn of total financing requirements of in 2014. Spanish bank Bankia: The bank is raising €1bn with a coupon of 3.5 per cent, after the issue was 3.5-times subscribed. Analysts are predicting a many more bond issues this year as investors scramble for yield and GIIPS sovereigns rush to take advantage of a sharp drop in the borrowing costs of peripheral governments and banks. How far have yields fallen? Dramatically. Not just for countries that have left bailout programs (Ireland and Portugal), but also for those that have not, like Spain and Italy. Yet as discussed above, the risks are higher. For an illustration of how much more complacent markets have become about GIIPS credit risk, note the below graphic via FT.com. The key point here is that both GIIPS bank and sovereign borrowing costs, and costs to insure Spanish and Italian bank bonds against default, have returned to pre-EU crisis levels. In other words, as far as credit markets are concerned, the Spain and Italy are nearly as safe as they appeared before crisis. This is astounding, given that both the EU’s economy and its future growth prospects are in worse shape, especially those of the GIIPS. Not only that, they’re more vulnerable than ever to banking crises now that there is no assumption of EU support, and all depositors, stockholders and investors know they’re at risk and will be ready to run at the first sign of trouble. That sure doesn’t sound like the EU back in January 2010? There was a recession, but no widely perceived existential solvency risks. If there were ever a financial crisis, the EU was assumed to be ready to act like the US. How could it not and still be seen as a viable currency union? Greece was still not a problem. The EURUSD had just recently tapped 1.5. The banking system was believed to be as solid as Germany. If there ever were bank failures, it was assumed that the national governments or worst case the EU, like the US, could and would prevent member defaults or fund orderly resolutions of undercapitalized banks, if for no other reason than self-preservation. There was no talk of bank or sovereign bailouts. The PIIGS or GIIPS acronym wasn’t even in use yet. As regular readers know, I’ve been watching the EU ever since last November, when I correctly sensed a brewing danger that the EU could never truly achieve the kind of unified bank supervision and common backstop funding for insolvent banks given its past inability to make painful choices that would be costly in terms of money and features national sovereignty, like control of one’s own national budgets and banks that are basic for any truly independent nation. I thought I must have missed something, so I checked around, and a relevant post from one of the people who knows best of all, FT.com’s Wolfgang Munchau, What 2014 holds for euro crisis watchers. His key point is that with the failed attempt to fix EU banking via the mostly useless new single resolution mechanism, the EU’s chances at healing its banks are as bleak as ever. As I’ve discussed repeatedly (see here for example) they are actually worse given the ramifications of the required private-sector bail-in rules. He calls the SRM deal a bank backstop “whose main construction element consists of fairy dust.” That’s a reasonable characterization given that there is no outside agreed upon EU funding for these cash strapped nations that can’t afford bank bailouts, and even if there were, it’s unclear whether they could access the funds quickly enough to prevent a crisis as depositors flee and bank bond and stock prices crash. See here and here for why. The SRM deal rejected real debt mutualization (aka big cash transfers to the GIIPS nations’ banks) for nations that have neither the cash nor the ability to print money or at least bank reserves (which are technically not money but are what central banks create to enact their own variations of QE) to heal their own banks. That leaves the EU and GIIPS with the same set of policy options that have failed in the past. Oh sure, things are different. Now they have additional obstacles. I’ll do my best to summarize the details of Munchau’s article in FT.com. That’s not easy, he doesn’t waste words and he is very good with them, so at times I just gave up and quoted him. I encourage all who can to read the full post. The policy debate has concluded. The decision not to set up a common backstop for the eurozone’s banks has closed the last window for any form of debt mutualisation as a tool of crisis resolution. All of the adjustment will take place through austerity and price deflation in the periphery. Most of the adjustment still lies ahead. Furthermore, it has been decided that debt burdens will be reduced by paying them off – not by inflation, default or debt forgiveness. So with the policy debate over, what matters now whether the GIIPS can adjust to their very limited options, and the sturdiness of the OMT. In the first part of 2014, watch how these developments play out. The court could easily allow it in theory but impose enough conditions to kill the OMT in practice. Although the court has no authority over the ECB, it can force the German government or central bank to prevent OMT’s implementation. For example, the court could rule that Germany insist on predefined financial caps for any ECB intervention as a condition for German funding, it could rule that such interventions be approved by some seemingly reasonable but de facto insurmountably difficult set procedural obstacles, like a fast vote by the Bundestag. Heal its banking sector to make credit cheaper and more available (with what cash, more borrowed money?). Reduce its net labor costs to German levels. On this point I disagree, with Herr Munchau, they need to be lower than Germany’s. When you want to compete with a more established brand name, you need to compensate those who take a chance on you by giving a better deal. For example, if I were in a position to choose between an Alpha Romeo and a Mercedes-Benz, BMW, Audi, or Porche version of that product, that Italian variant had better offer A LOT more value and much better price for me to even consider it. As much as I admire Italian styling, it rapidly loses appeal when viewed from the perspective of the garage’s waiting area. Ideally Italy would cut labor taxes, but Italy’s stretched budget would require offsetting new taxes or spending cuts. Reduce its debt/GDP ratio. As we’ve seen with most of the GIIPS, austerity tends to cut GDP at least as fast as debt, leaving the ratio little changed despite enormous sacrifices and pain inflicted on restive, frustrated voters. Muchau argues that current EU fiscal compacts would require Italy to somehow achieve primary fiscal surpluses (surplus before debt service expense) of “historically unmatched scale and length.” Right. These May elections will indicate the political support in Italy and other GIIPS nations for the bitter German medicine being offered as the only cure. It’s possible that anti- EZ parties could get a third of the votes. That not only gives them direct voting power, it would also influence the centrist parties to adopt more Eurosceptic policies. Why the growth in power for anti- EU parties? Per a Gallup poll, (via ft.com here) published on Wednesday January 8, popular support for the EU has crashed in recent years. In Spain, public approval of the EU leadership’s performance crashed to 27% last year from 59% in the pre-crisis year of 2008. That’s a disturbing reversal for a nation that, ever since the death of the dictator Francisco Franco in 1975, has embraced its European identity with pride and enthusiasm, given Spain’s darker past. In Ireland, a country no less pro-European for most of the past 40 years, public approval of EU leaders is down from 70 per cent in 2008 to 47%. The fall in support for the EU’s leaders can also be found in prosperous northern European countries, both within and outside the EZ. Since 2008 it has fallen17% in Sweden, 14%in Finland, 11% in Austria and Holland, 10% in Denmark and 7%in the UK, and since last year (no prior data available) 21% in Cyprus and 19% in Greece. At 29 per cent last year, down from 36 per cent in 2008, the UK is not, for once, at the bottom of the EU’s 28-nation table. Greece is lowest at 19 per cent, then Cyprus at 21 per cent (there are no comparable data for 2008). Arguably, the conditions attached to EU-IMF financial aid were harsher in Greece and Cyprus than anywhere else – and, arguably, they needed to be. The only citizens giving a positive response are those of Luxembourg (67 %, down from 74% in 2008), Germany (59%, up from 56%) and Belgium (56%, up from 55%). Not surprisingly, these three countries are EU founder-members and have survived the euro-zone crisis with relatively minor damage. Also, they either host EU institutions (Belgium and Luxembourg) or see the EU as part of their post-1945 national rehabilitation (Germany). 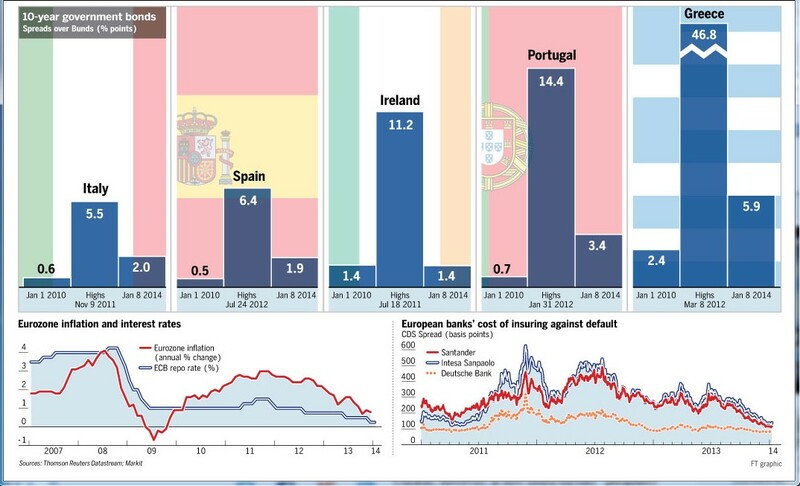 In the near term this drop in GIIPS borrowing costs will help GIIPS sovereigns and banks. However if reality should dawn that the GIIPS remain as risky as ever, at minimum there will be losses. No biggie by itself. The bigger concern is that the losses will be too big to contain without worse damage than ever. Unless the EU is able to come up with some alternative bank backstop, be ready to short the weaker EU bank stocks and bonds. Of course if a new solvency crisis hits the EU, risk assets will likely drop worldwide. However those closest to ground zero are likely to suffer the most damage and be the best shorting candidates. If they’re denominated in Euros, all the better, as you’d profit on its depreciation versus almost any other currency. Similarly, be long assets that would appreciate under these conditions, like the USD and even US treasuries. Although the CHF is another traditional safe haven currency, the EU is Switzerland’s prime export market, so as in the past, we’d fear the SNB would intervene to prevent the CHF from rising much against the EUR. For its fundamental flaws, the JPY still sees demand as a safe haven currency, even though the logic of this is only apparent to those who use it as a funding currency for carry trades. Still, some of those people are big institutional traders who would need to buy a lot of Yen in order to close out a lot of rapidly souring trades. Traditional currency hedges like gold and other precious metals would also likely do well. One big caveat – if you think of buying CDS to profit from any sovereign or bank default, make sure these are not subject to a majority of owners voting to ‘voluntary’ haircuts. No one can predict when the EU crisis will return, although the recent SRM deal has made this far more likely than market prices suggest. In theory, as in any crisis, cash will be king. However it’s not clear WHICH cash. The EUR will again be likely to plunge, a minimum. The CHF is linked to the EUR. The USD is a safe haven but there are scenarios in which it too could get hurt. The point is, everyone needs to make sure their portfolio is not too linked to any single currency. Just like you’d diversify other kinds of asset exposures, you need to do the same for this kind of asset too. It isn’t hard, complicated, or risky. You don’t have to open overseas accounts, learn complex risky short term trading techniques. 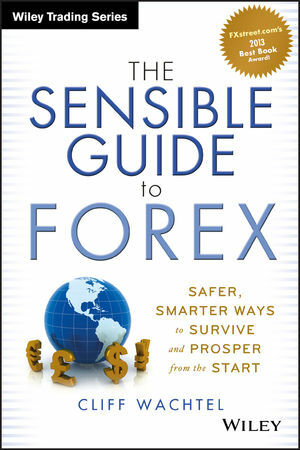 See here for details on the ultimate lay-investor’s guide to low risk simple currency trading basics that will prove invaluable even if you never trade a currency pair. You’ll also learn simple ways to build a currency-diversified income stream. ← LESSONS FOR THE COMING WEEK: A NEW RECESSION INDICATOR?